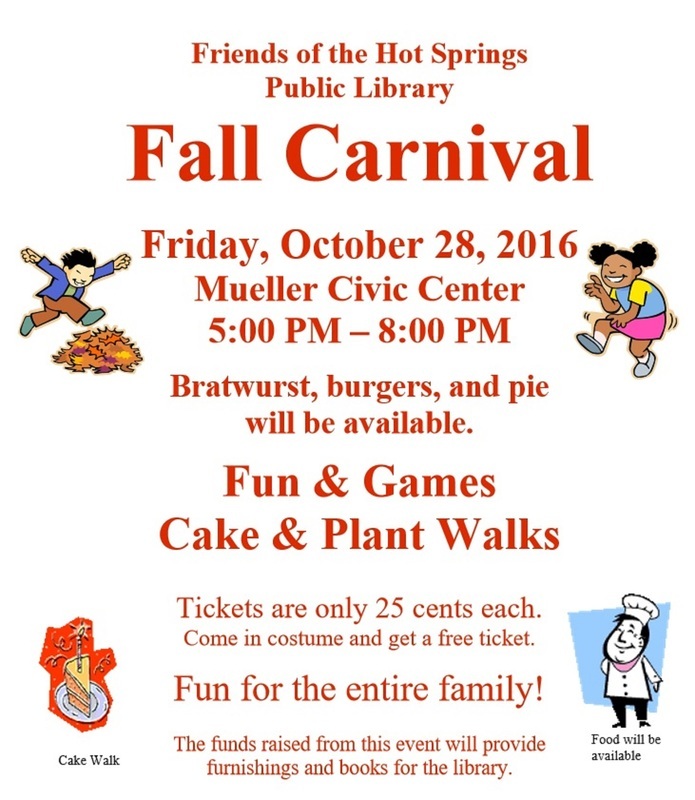 Join us for a fun-filled evening at the Mueller Center. The carnival is held the Friday before Halloween from 5:00 to 8:00 pm. Dinner (bratwurst, burgers, and hot dogs) and pie are available. Many different activities have been created for children of all ages including cake and plant walks, darts, a "cave crawl", a fish pond, and other fun games. Tickets are only 25 cents each. This is a fun evening for the whole family and it helps support the Hot Springs Library.